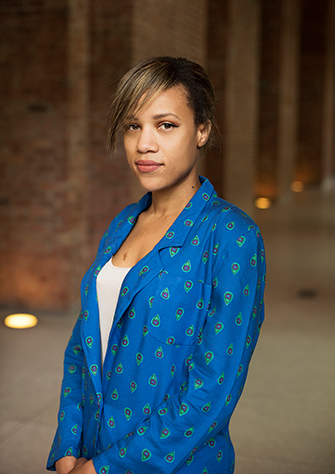 Ashley James comes to the Brooklyn Museum from the Department of Drawings and Prints at the Museum of Modern Art, where she was a Mellon Research Consortium fellow assisting on the forthcoming Charles White and Adrian Piper retrospectives. James is a Ph.D. candidate in the Departments of African American Studies; English Literature; and Women’s, Gender, and Sexuality Studies at Yale University. She holds an M.A. and an M.Phil. in English Literature and an M.A. and an M.Phil. in African American Studies from Yale. At Yale she co-curated the 2014 University Art Gallery exhibition Odd Volumes: Book Art from the Allan Chasanoff Collection. She writes broadly on modern and contemporary literary and visual arts practices, and her dissertation reconsiders the relationship between politics, art, and blackness in the late 1960s.